Pocket watch appraisal - how much is my pocket watch worth? In this modern age, technology has become so advanced that most people tell time through their smartphones. But how come there are people who spend time and money to collect timepieces? The level of craftsmanship in mechanical watches such as a pocket watch is rare nowadays. Therefore, they are highly coveted, especially among watch connoisseurs and collectors. To own these watches showcase your appreciation for the complexity of mechanism and aesthetic design that goes into making each piece of watch. 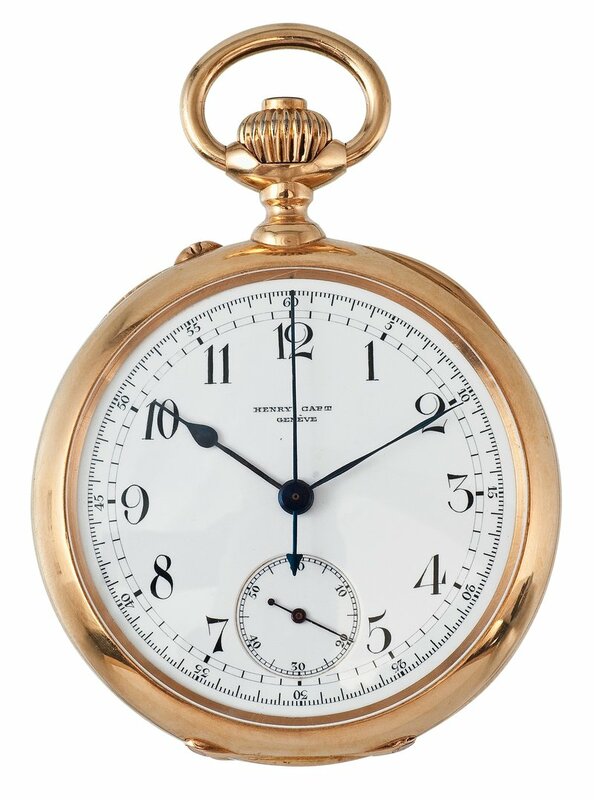 A really common pocket watch we often see is the American Waltham pocket watch. We have appraised many of these watches along with antique Elgin pocket watch. Do you want to find the value of an Elgin pocket watch or do you have another pocket watch? Where Can I Get My Pocket Watch Appraised? If you are looking for an online appraisal, then you have come to the right place. Use the form below and upload your pocketwath and our watch specialist will get back to you within a few hours. If you are looking for an appraiser near you, then take a look in our appraiser directory. It is the largest appraiser directory on the web and you can search for your city. How Much is my Pocket watch worth? 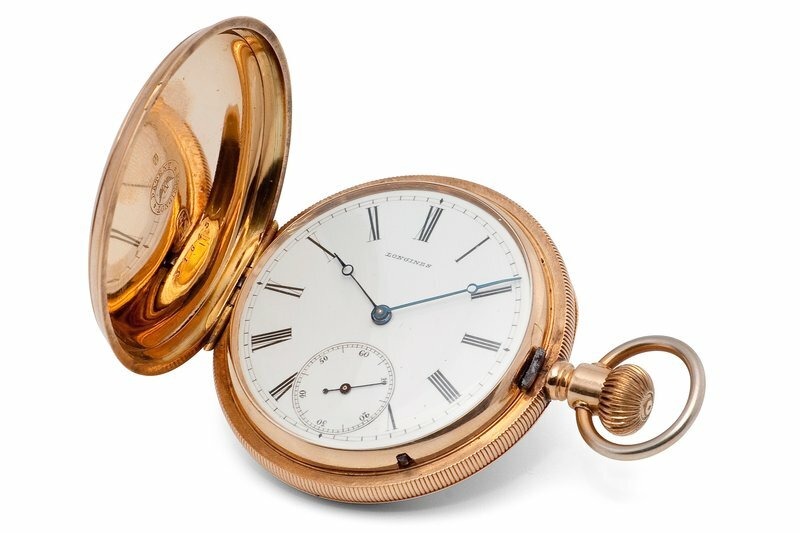 There are several factors to consider when you need to put a value on an antique pocket watch. We will cover the most important ones here. 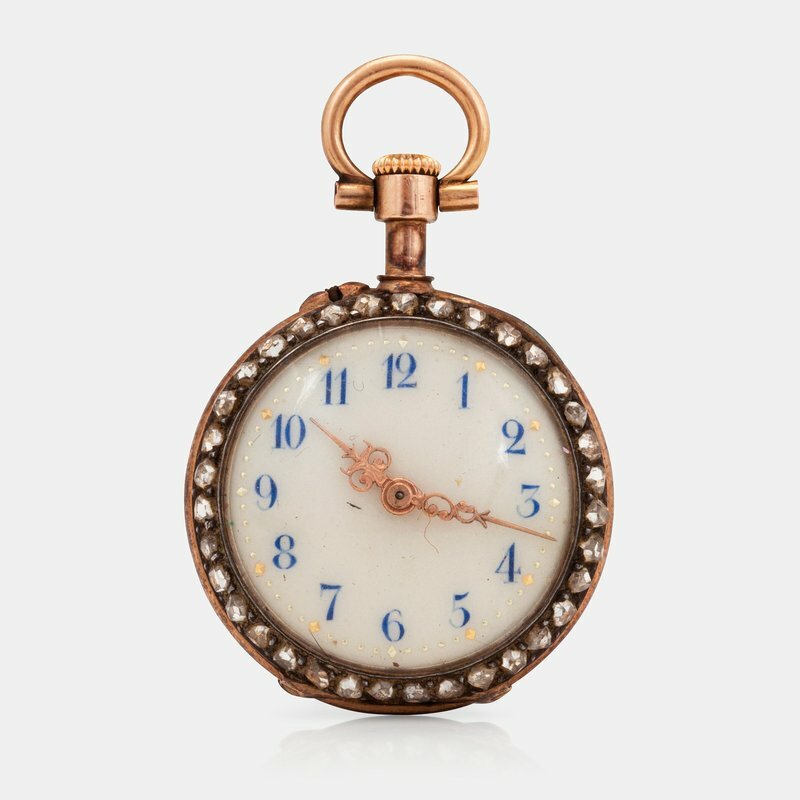 When you are trying to collect or sell antique pocket watches, the brand of the watch is a highly important factor. The brand is usually the first thing that potential buyers want to know about the watch when you put it up for sale. Each period has prominent brands and makers that introduced unique designs to the industry. Therefore, these notable brands are highly sought after by serious collectors. How old is the pocket watch? 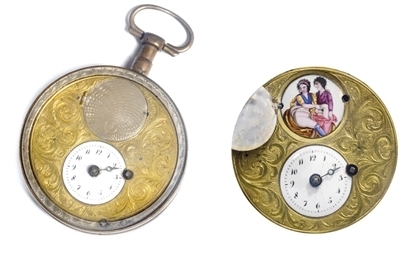 The age of a pocket watch is also a significant factor in valuing this antique item. To determine how old the pocket watch is, you must look at the serial number on the movement. It is important to note that the serial number on the movement and the watch case are different. Hence, you should not commit the mistake of looking at the serial number of the watch case (especially since the movement and cases are manufactured separately and often by different companies). If you bought your pocket watch from Switzerland or some parts of Europe, it might be more difficult to determine the age of your pocket watch. Most of the watch manufacturers in this region did not brand their watches with serial numbers. The style of the watch is assessed in order to determine how old the watch is. However, only expert watch professionals are able to accurately determine the age of a watch. Make sure you have it looked into by someone who is a certified professional. It is important to note that while old watches are valuable, they are not considered automatically rare. There were some manufacturers from the old era that produced millions of pocket watches. This means that there are plenty of these watches in the market and this will cause the value of your watch to decrease significantly. Old and rare pocket watches are the ones that are expected to get a higher appraisal. The provenance of antique pocket watches is at the forefront of trying to determine its market value. Aside from being old or having a notable name brand, its provenance can give it more value. In fact, many expert appraisers claim that provenance is far more important than the condition and age of the watch. To be specific, what appraisers are looking for is to determine the previous owner of a particular watch. If it is linked to any notable figure, then you can expect that your antique pocket watch will get a boost in market value. To verify the authenticity of the provenance, it is best if you can provide the “cosigned by original owner” seal. Even if the watch might not be in top condition (such as having a few scratches), it can still be considered valuable especially if it has been owned by someone popular or a well-known figure. Provenance is important, but without proper documentation it can be hard to convince an auction house or a buyer that your the provenance is what you say it is. How is the quality of your watch? The quality of the pocket watch is an obvious factor when appraising it. There was a time in history when the manufacturers of pocket watches were so fixated on developing an efficient “dollar watch”. This resulted in the manufacture of several low quality watches as they were targeted to be sold at a low price. If you want to determine the quality of a pocket watch, look at how it was finished. The high quality finishes are polished, comes with gold jewel settings, or made with damaskeened plates. If the watch you have, comes with a simple finish with rarely any polish at all, it might not be worth much. The jewel count, on top of the finish, is also a significant factor in determining the value of a pocket watch. The higher the number of jewels used for making it, the higher the quality, too. It is easy to determine the jewel count of a pocket watch. It is indicated by the number followed by letter J on your pocket watch. A watch that has been unaltered since it was released from the factory will have more value than those that have been altered. Some watches might have been re-cased or have their parts replaced. If your watch has not met these conditions, then you can get maximum appraisal for your watch. The type of materials used for making the pocket watch is an essential factor in determining its value. It is what is inside that truly counts and only expert appraisers are able to determine the value of your pocket watch based on these materials. A pocket watch that is made with solid gold is obviously more valuable than ones that are gold plated. Moreover, there are some that do not even contain gold but rather encased in nickel. It is also important to examine the materials used for the train wheels and jewel casings as these too can heavily influence its cost upon appraisal. Being able to differentiate a fake pocket watch from an authentic one is highly important. And yet, it is also quite difficult to do. The cost of authentic and rare antique pocket watches can be quite expensive. If you are going to buy them online, you need to keep a close eye on the specific details mentioned above – finish, jewel settings, serial number, manufacturer’s seal, and watch case. Therefore, it is important to be able to examine as many photos of the item as possible so you can verify its authenticity. Or, you can look for websites that sell antique pocket watches that has been verified by expert appraisers. This will guarantee that any pocket watch sold on the website had been verified for its authenticity. At Mearto, you can expect that any item you find had been looked into by expert and professional appraisers. This will give you confidence that what you see is what you get. There is no need to spend thousands of dollars on counterfeit items. The pocket watch has no brand name but says "Swiss made" at the very bottom. It is pink gold and is from the 1930s I think. It has a gold chain with different sections of gold color. 14k solid tri color gold. 12-hour dial, 11jewel, full hunter, Movement Serial number: 6298761, grade 110, size 0s, model 1. Main engraved number is 13599. The are other numbers etched by hand (#6513, #8770, #12914, #17919, #9686, #2523, #1845 - I don't understand what these mean. Original box by W.D. Webb Inc Jewelers Greenwich Connecticut Likely 1920/30s based on my grandfathers' age and other watches Fast Slow. Twister piece at the top extends up. Weight 3.63 oz. Not operation currently. Has crack on watch face. Glass enclosure is missing. IWC all steel back cover does not know how to open. Is it open or unscrewed? 1904 ball waltham 16s 17j 14k gold case railroad pocket watch.